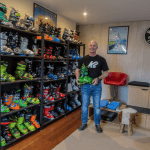 You don’t have to know much about skiing destinations to know that Japan just isn’t a secret anymore, with an increasing global contingent of skiers and snowboarders heading to the main resorts and regions – finding your own space is becoming increasingly difficult. 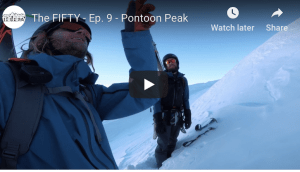 That’s not to say that the snow isn’t there, Japan’s powder machine is as active as ever, however, a little investigation goes a long when it comes to finding alternative areas to access the world best powder snow. Like all good destinations, if you seek you shall find. 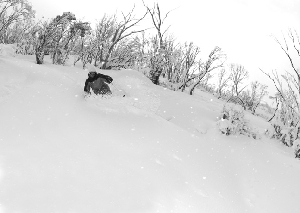 And this holds true to Japan’s more remote ski fields, which are loaded with powder and ripe for the ripping. Some of these more remote resorts can be found in the Tohoku Area on the Northeastern end of the main island of Honshu. 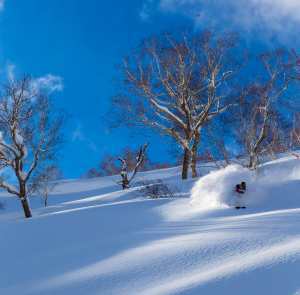 Tohoku is home to many of Japan’s best Ski and Snowboard resorts. On snow, the area is famous for its reliable powder snow, and uncrowded slopes, and off the snow the region is famous for its rich culture and heritage, and hot springs (onsen). 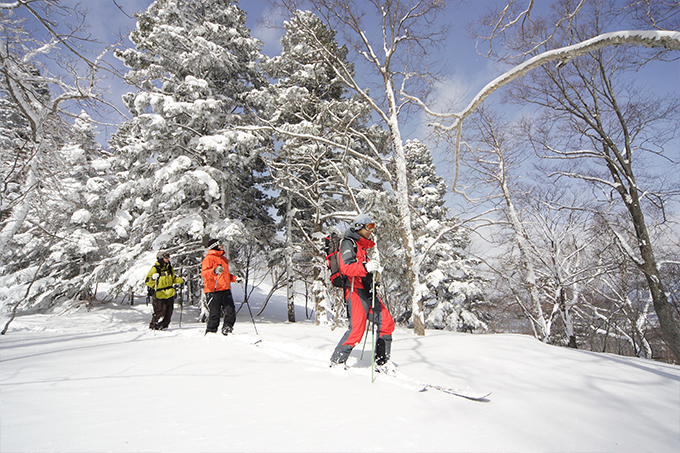 Popular ski areas in Tohoku include: Appi Kogen Ski Resort, Zao Hot Springs Ski Resort and Alts Bandai Ski Resort. Appi Kogen Ski Resort, or simply Appi, is a ski resort located in Iwate prefecture and is famous for its ‘powder perfect’ snow. The resort’s north-facing slopes keep the significant annual snowfalls in primo condition throughout the long season. The mountain summit is 1328m with a vertical drop of 828m and encompasses two mountains, Mt. Maemori and Mt. Nishimori. The resort has 21 trails with an average run of 2km and the longest at 5.5km, and with 16 lifts across the slopes all trails are serviced. Appi is a perfect resort for families, offering exceptional customer service, a dedicated children’s area, a snow park and excellent pistes for riders of all levels. Appi is a resort like no other; it’s not just about the skiing but all the other activities it has to offer to complete a winter holiday experience. There are numerous delicious restaurants, easy access to Morioka city shopping, beautiful natural onsen hot springs and a variety of hotels and villas that cater to everyone’s budget. Appi is easily accessible from Tokyo. Take JR East’s shinkansen bullet train line to Morioka. When arriving at Morioka station, take the Hanawa train headed for Appi Kogen station, then finally hop onto the free shuttle from Appi Kogen station to the resort buildings. You can also fly from Haneda to Odatenoshiro Airport in Akita prefecture, or Aomori Airport in Aomori prefecture, and take a bus from the Tohoku airport of your choice to the resort. Advance bookings are necessary. 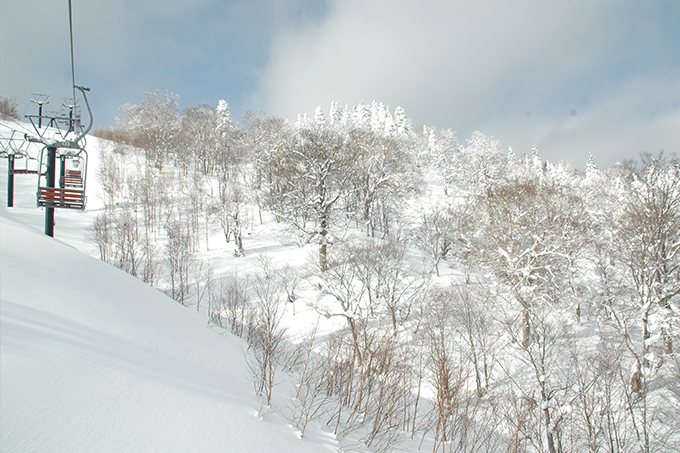 Zao Hot Springs Ski Resort is another spectacular ski area in the Tohoku region. Along with the great dry powder snow, local culture and hot springs, Zao is also famous for their “Snow Monsters” – trees heavily laden with snow and shaped by the wind into otherworldly shapes. Zao Onsen Ski Resort, located in Yamagata city, is one of Japan’s most renowned mountain resorts. Standing 800 meters above sea level and among splendid mountains, this traditional hot spring village surrounded by nature boasts many hotels, restaurants and souvenir shops. Zao Onsen has a long history and is said to have been discovered in the year AD 110. The famed “Snow Monsters,” or Juhyo, of Zao appear in the winter when the local pine trees get covered in snow and ice, giving the illusion of a mystical creature. They can be observed throughout the day but the best time is at twilight or at night when they are lit up. To access Zao Onsen Ski Resort from Tokyo you can fly or catch a shinkansen (bullet train). By air you can fly from Haneda airport to Yamagata airport, then take a 60 minute shuttle bus, which takes approximately 2 hours plus connection times; by train you can catch the Yamagata Shinkansen from Tokyo station to Yamagata station, then catch a 40 minute shuttle bus, with this journey taking approx. 3.5 hours in total. 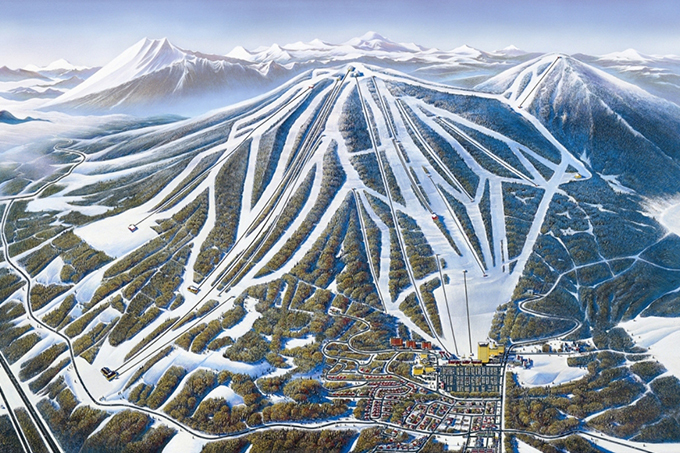 Alts Bandai Ski Resort, is a medium sized ski resort located about 290 km north of Tokyo in Fukishima prefecture. 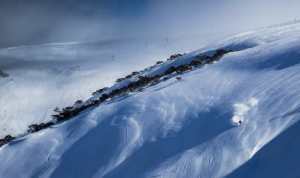 Alts is famous for its intermediate courses, new facilities and its popularity with Snowboarders. Each year Alts Bandai is home to 2 large Snowboard competitions with riders coming from around the world. When visiting Alts Bandai you will find 29 courses (runs) that total 30km in length and make up 121 hectares of piste terrain. The official trail statistics are 35% beginner, 40% intermediate and 25% advanced. To access Alts Bandai from Tokyo take the Tohoku Shinkansen (bullet train) to Koriyama Station, 1 hr 40 mins, and then free resort shuttle buses cover the 64km (about 90 minutes) to Alts Bandai. 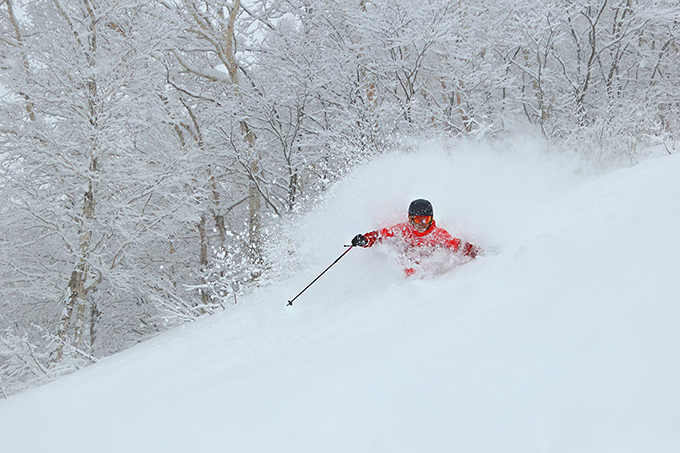 Liquid Snow Tourare experts in the Tohoku area. With staff on the ground year round they will look after all aspects of your travel and have options to suit all requirements.